The best cheap Cardboard VR viewer is… Mattel's View-Master? 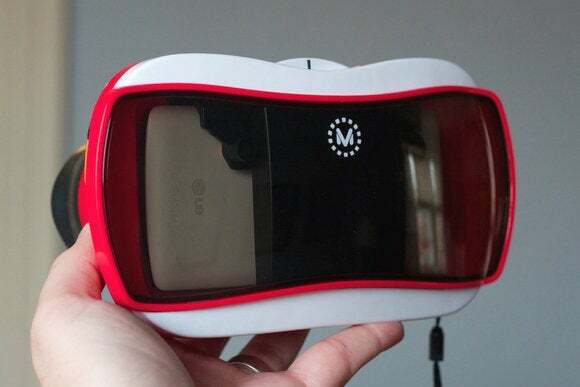 It looks like a toy, but this sturdy phone-based VR viewer is ideal for the whole family. Even though it was created by Google, Cardboard phone-based virtual reality viewers have a very cool, DIY aura around them. So when Mattel—the house that Barbie and Hot Wheels built—comes in and tries to take Cardboard mainstream, surely the result feels hollow and half-hearted, right? Amazingly, no. The View-Master VR, which takes its aesthetic cues from the classic reel-viewing toys, builds upon the official Cardboard specs and manages to upgrade the average foldable viewer in nearly every respect. 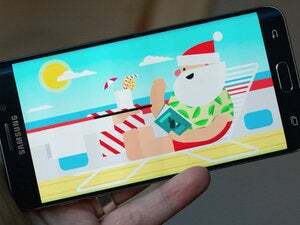 It’s made from sturdy plastic, holds your phone securely within, and works with all the same apps—plus the price is only a few bucks more than you’ll spend on an actual cardboard version. Classic View-Master inspiration meets Cardboard functionality—with real enhancements. 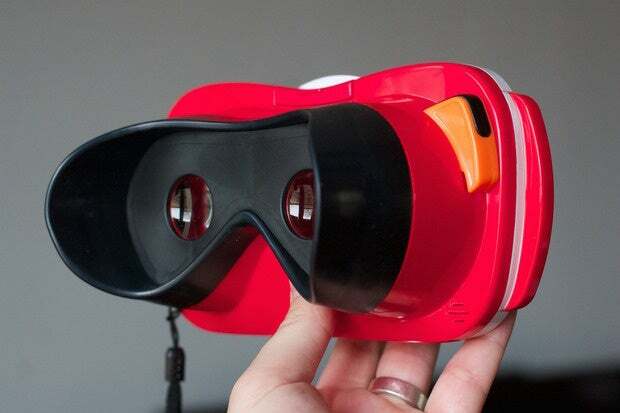 No doubt, the View-Master VR aims for a different audience with its look. 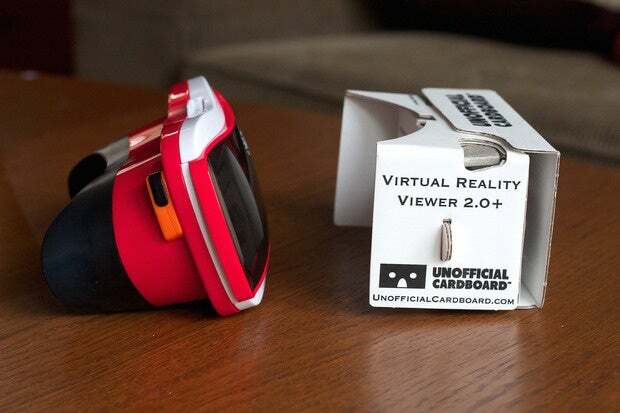 While typical Cardboard viewers share the same DNA as a pizza box or shipping carton, the View-Master VR is glossy red, white, and black, looking precisely like a toy should. It’s a nod to the classic View-Master—and even has an orange lever for the input button—but instead of staring at illuminated still images, you’ll pop your phone within and soak up immersive VR content. It’s built from Google’s Cardboard 2.0 framework released this summer, so the View-Master VR works with a wide array of devices (including iPhones), supporting up to 6-inch screens. Your handset snaps into a very snug plastic grip within, which stretches to accommodate larger devices. I tried a Nexus 5 and Samsung Galaxy S6 Edge+ and both fit perfectly and stayed put. 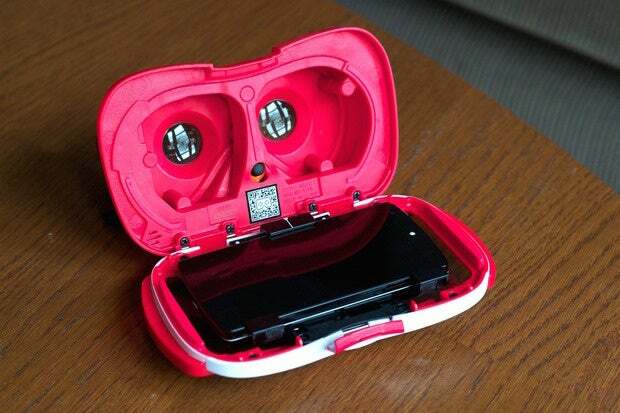 Paired with the thick plastic build, the View-Master VR can take some wear while keeping your phone safe. Snap your Android phone (or iPhone) into the brackets, align the center of the screen as shown in an app, and you’re all set. While that’s a selling point for sure, what really makes the View-Master a cut above the usual Cardboard fare is in the functionality. Right off the bat, I was impressed by the lenses: they’re not adjustable, like in the Unofficial Cardboard 2.0 Plus viewer, but they also don’t have the cardboard residue I always find on the cheap viewers. And they’re easily accessible from both sides, making cleanup a breeze. The rubberized shielding that surrounds the side you stare into makes the View-Master more comfortable to jam onto your face—plus it blocks out more light. It all adds up to a better mobile VR experience, and the headset shell works with all Cardboard apps. The View-Master VR also has a few of its own, although the praise doesn’t extend far there. The View-Master apps use augmented reality to turn each reel into a 3D diorama (the red sample reel comes with the viewer). In a further nod to the classic toy, the View-Master VR still uses reels—only these ones don’t slide into the device. Instead, they have augmented reality markings, so you’ll stare at a plastic disc via the phone’s camera and see a little digital diorama appear. It’s a neat effect, and it leads to further virtual reality experiences within. Sadly, those aren’t much to write home about. Mattel has three Experience packs—Destinations, Space, and Wildlife—each with three reels and an associated Android and iOS app. View a Wildlife reel, for example, and you’ll be transported to the Amazon rainforest. Pick one from the Space pack and you can examine and explore a 3D space shuttle. 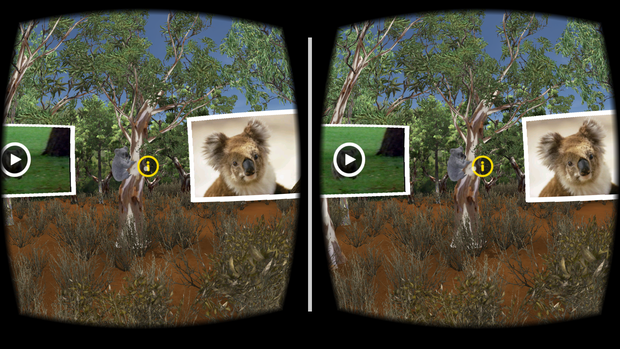 Look at a koala and you can... watch a flat video and read some text? The Experiences aren’t really as immersive as anticipated. It all sounds pretty fantastic, but the results are both mildly interactive and mildly interesting, at best. Each pack also comes with a weird “access card” that you must hold against the screen the first time to activate each app, but the Space card never worked for me on both the Nexus 5 and Galaxy S6 Edge+. In that case, you’ll either be back to the store for a replacement pack, or tempted to pay for the $15 in-app purchase that unlocks everything. Among the reels that did work, none really caught my attention enough to warrant the extra expense. But the Cardboard platform has an ever-growing selection of cool and often free apps to check out, including stunning visual experiences, immersive concert footage, and arcade-style games. 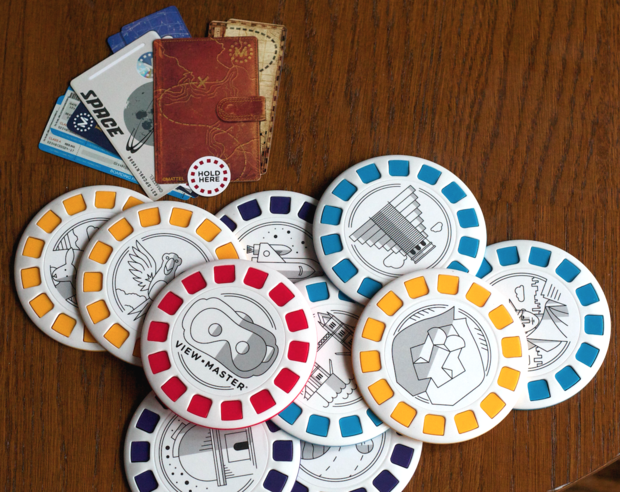 Kids might get something out of the Experience packs, but they don’t feel like a killer app. Adults are better served browsing the Play Store for cheaper or free options. The View-Master is a little bit larger and certainly brighter than typical Cardboard viewers, but it’s also sturdier and more comfortable. While the bright, plastic aesthetic won’t be for everyone—even with that nostalgic hook—the View-Master has quickly replaced cardboard shells as my mobile VR device of choice. It’s not perfect, mind you: there’s no access to the headphone jack, so you’ll have to make do with speaker sound. Also, the latch could be tighter; be sure to push it in (towards the front) once it’s down to help avoid it unhitching during use. But at $30, the View-Master VR’s advantages certainly warrant its consideration over the $20-25 premade cardboard viewers that rule the entry-level end of mobile VR. It’s the kind of thing you might grab as a gift for the kids, but if you’re curious about VR on your phone, chances are you’ll use it as much as they do. And if the View-Master VR does well this holiday season, expect a lot more plastic Cardboard to come.